Hi Garret, thanks for taking the time to speak to us today. Would you tell us about yourself and your background in this industry? Hey Jeremiah. Thanks for the interest you’ve shown in our company. A little bit about me. I’m a Utah native and an avid outdoorsman. In college I received my degree in Aerospace Engineering and then commissioned into the military where I attended pilot training. Now I’m flying fighters and in my spare time starting a watch company/finishing up my MBA. My business partner, Nick, is from Oregon and is also a military pilot finishing up his Masters in Entrepreneurship. He is also the founder and a part owner of an aviation art company, Squadron Posters, that helped us launch our product to his 60,000+ social media followers. We’ve both always loved watches and have a modest collection, but we’ve never been on the side of the industry that actually creates watches. I’ve always been fascinated by machinery and love figuring out how things work, and as an artist Nick has sold thousands of pieces of art around the world. We’ve combined our two passions into one venture and it’s been a hit so far. 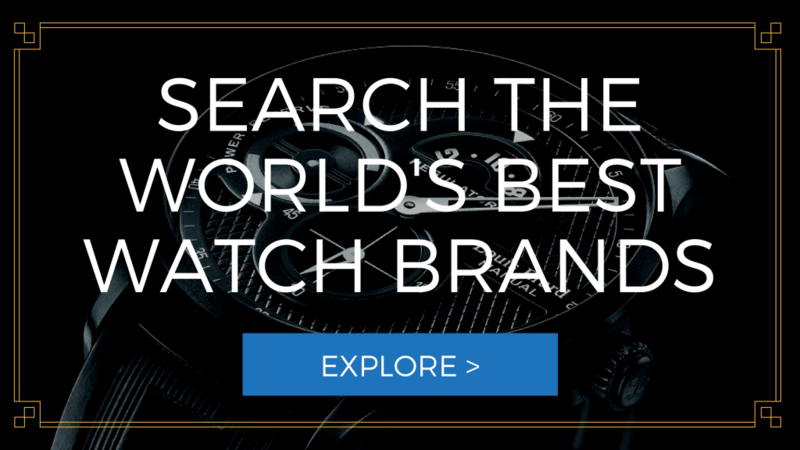 We are excited for the future and have some great ideas that I think will shake up the watch community. What drove you to start the company and who is behind it? I started designing this watch while I was recovering from a surgery. I was looking to buy a watch based on classic aviation designs, but everything I found was incredibly expensive or too over the top. I feel like a lot of new watches being produced today are too cluttered and are trying to do too much. I couldn’t find something at an affordable price that was quality built and looked good on my wrist, so I started drawing what my ideal watch would be. Clean, simple face. 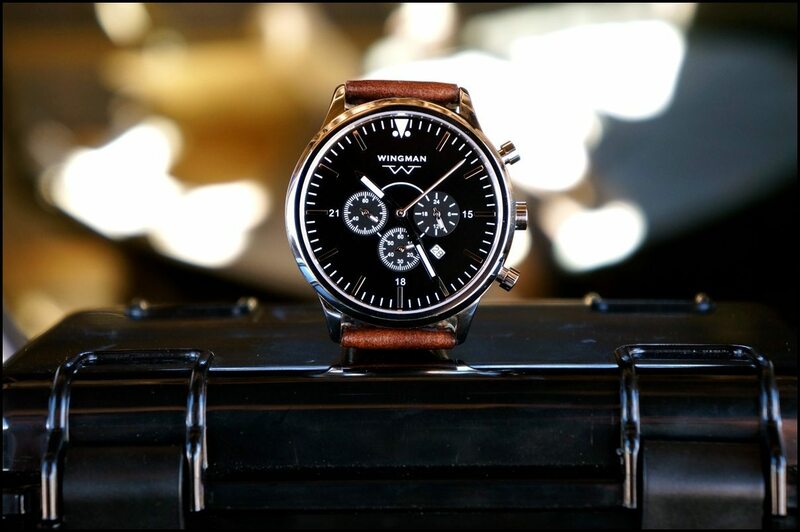 Chronograph, with a sleek look. When I was finished, I figured I’d put so much work into designing it, I should see if I could get it produced. What were your influences when designing your watch? We didn’t draw on any one timepiece for inspiration, but mostly on the ideas and the premise behind a lot of classic aviation watches. Simple design. Functional. Non-cluttered. 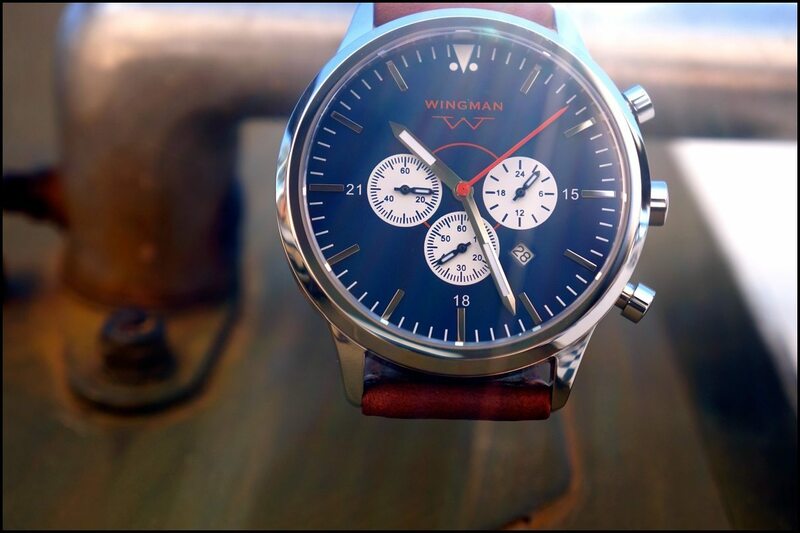 These were all characteristics of a watch that I liked, so I tried to combine them with a modern look and the Wingman was the end result. Why are wristwatches still so relevant today? I think there are a lot of reasons for the resurgence of wristwatch popularity. I know for me personally, I love the feel and weight of a watch on my wrist. I tend to feel naked if I don’t have a watch on. Wristwatches also tend to add a touch of sophistication to any outfit. With the generic, mass produced smart phones that everyone has today, it’s easy to just pull out your phone to check the time. I think people are trying to get away from always being connected, and a watch is a good counterpoint to the smartphone. Do you face any difficulties in the manufacturing process? Honestly, I’m not worried about our manufacturing at all. Yes, there are the standard difficulties of inventory, order timing, shipping, yada, yada that I’m sure your readers don’t want to hear about, but we’ve partnered with an amazing manufacturing company, Smith&Bradley. We always knew that we wanted our watches to be made right here in the USA, so we set out to find a great manufacturer. After quite a bit of research, we decided on Smith&Bradley, who I believe is one of the top watch manufacturers in America today. The guys over there are really great too. Their entire business setup is a class act and it’s been amazing to work with them. I believe their newly redesigned Ambush is going to be my Christmas gift to myself. 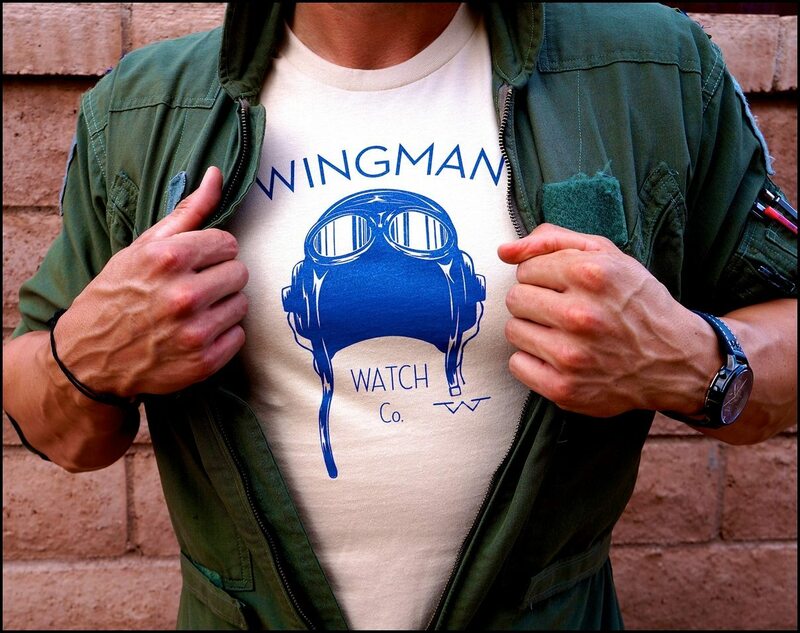 What is next for Wingman Watches? So we have a couple of moves that we are playing pretty close to the chest right now, including one that is going to shake up the watch industry quite a bit, but I guess I can share one of our other big moves with you. 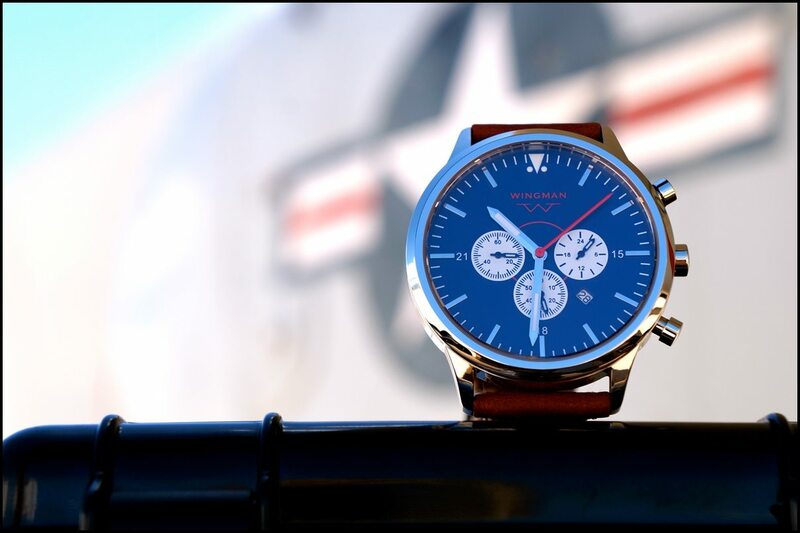 With both Nick and myself being military pilots, watches are pretty big in our community. It’s not uncommon for squadrons members to order custom watches for their units each year, at about $2500 each. While this is ok for a one-time buy, you tend to change squadrons around every 3 years, which means once you move, your watch is outdated and it’s too expensive to buy another one. We want to change that. Beginning next year, we are going to open up a customization process where you can work with one of our artists to custom design a watch face and watch back for your squadron, company, family reunion, etc. These will be the same high quality watches we sell on our website, just with your personal touch added to it. 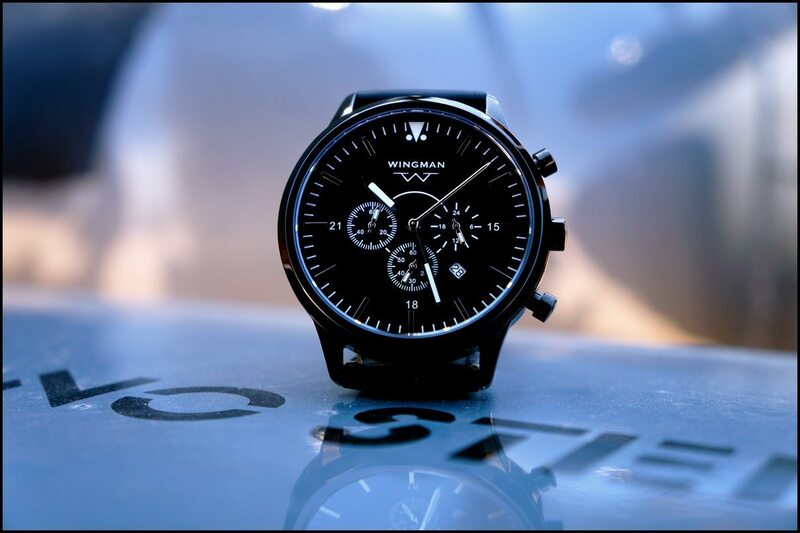 Our vision is for a military pilot (or anyone for that matter) to be able to track their career through their watches, each one custom designed to highlight a significant achievement in their life. Instead of buying one overpriced $2500 watch, you can buy 5 $500 watches that celebrate your career. What do you see in the future of wristwatches? That’s a tough question. Here’s what I want/hope to see. The resurgence of an American made movement. My dream would be to offer an affordably priced, truly All-American watch. What do you personally look for in a timepiece? I’m a big fan of the idea that less is more and more is less. I see a lot of watches being produced today that are gigantic, with large flashy hands, extremely oversized cases, and a face that is cluttered to the point of almost being unusable. I like a clean, simple design that is eye-catching. In terms of movements, I’m not a cheerleader for either mechanical or quartz. I think they both have their pro’s and con’s and it usually isn’t a determining factor in if I like a watch or not. In the end, if it’s a quality made timepiece that looks good and provides functionality, it’s probably something that I’m going to like. Is there anything else you’d like to add to this interview?